This quick survey of the view of modern cosmology shows how quantitative the approach is. However, there are several fields in which our incapacity to solve recurrent puzzles probably points at the metaphysical structure of reality. In the following, I mention four of these puzzles. Regions that are separated by more than 1 degree on the last-scattering surface have never been in causal connection before, and should have widely different temperatures, in contrast with the remarkable isotropy that is actually measured. This is the so-called « isotropy problem ». Moreover, the density of the universe is close to unity, and the spatial geometry is almost flat, whereas all values for the density parameter are a priori possible. This is the so-called « flatness problem ». As a result, our observable universe seems to have emerged for a very peculiar set of initial conditions. In parallel, it is now clear that these patterns are necessary conditions for the appearance of complexity in the universe. For instance, a very large density parameter would have produced a fast collapse in a timescale much lower than the stellar lifetimes that are necessary for the chemical enrichment of the interstellar medium (and the subsequent formation of planets), whereas a very low density parameter would have resulted in a very diluted universe, with low mass structures that are unable to retain their gas. A philosophical explanation in terms of final causes can of course be introduced to give meaning to this type of fine-tuning (and other cosmic coincidences gathered under the term of anthropic principle. It can be divine intervention in a religious prospect, or a natural trend of matter towards self-organization, in a pantheistic prospect. But this is unacceptable for modern science. The current explanation of the isotropy and flatness problems (and other related puzzles) is that the universe has undergone a stage of exponential inflation that has inflated a small, causally-connected patch beyond the size of the observable universe, and has erased spatial curvature. This explanation avoids the introduction of any argument on final causes about the set of initial conditions the universe started from. 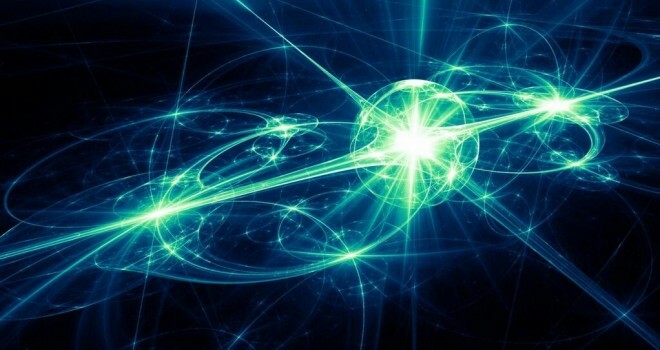 By the same token, the origin of the inhomogeneities that will produce the large-scale structures after gravitational amplification are explained by inflation : they are simply quantum fluctuations inflated to macroscopic scales. The problem is that the current theory is not able to predict the amplitude of these fluctuations, which are measured at the relative level of Q=10-5 on the last-scattering surface. When a complete theory of inflation emerges, it will have to predict this value, which now appears only as a free parameter. But it is now clear that this value is also a necessary condition for the appearance of complexity in the universe. With Q=10-6, gas cannot cool in the potential wells of haloes and no stars can form. With Q=10-4, galaxies are so dense that frequent stellar encounters hamper the existence of stable planetary orbits, which are a necessary condition for the existence of life ecosystems drawing their energy from stellar radiation. Again, our observable universe seems to have emerged for a very peculiar set of initial conditions. We now have a new theory that avoids the introduction of final causes : it is called chaotic inflation. In chaotic inflation, inflation eternally takes place and makes new patches of exponentially-inflating space-time that causally decouple one from each other. Subsequently, the inflationary stages will turn into the normal expansion phase. In this context, the laws and constant of physics are fixed by symmetry breaking and get different values in the different patches. Consequently, with an infinite number of realizations, we must not be surprised that there is at least one patch of the universe that has the values suited to the appearance of complexity. The question of knowing whether this theory is testable is still open. But this is not our concern here. By Bruno Guiderdoni, in The Exploration of the Cosmos : an endless Quest ?